The Ninfea SP pendant light is handmade by Vistosi and was designed by Oriano Favaretto. You can choose between different sizes and colors. The glass of the shade is glossy or semi-transparent milky. All metal parts are made of nickel. 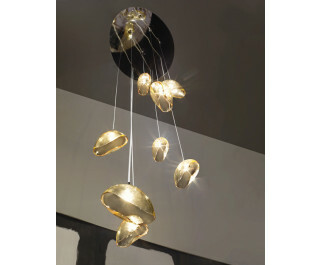 This lamp is very versatile and can be supplied as a twin-copy.